Warsaw (AFP) - Restrictive legislation introduced by Poland's right-wing government in 2016 threw a spanner into the works for onshore wind energy, but the easing of some measures now promises to get the sector spinning. The change comes ahead of the COP24 World Climate Conference that opens December 2 in the southern Polish city of Katowice, a coal mining hub long among the main providers of the country's primary source of both fuel and pollution. "We're on the right track," Janusz Gajowiecki, chairman of the Polish Wind Energy Association (PSEW), told AFP of plans to bring an additional one gigawatt (GW) of wind energy online. Poland currently has around 6.4 gigawatts of installed wind power, compared to neighbouring Germany, which has around 56 GW. 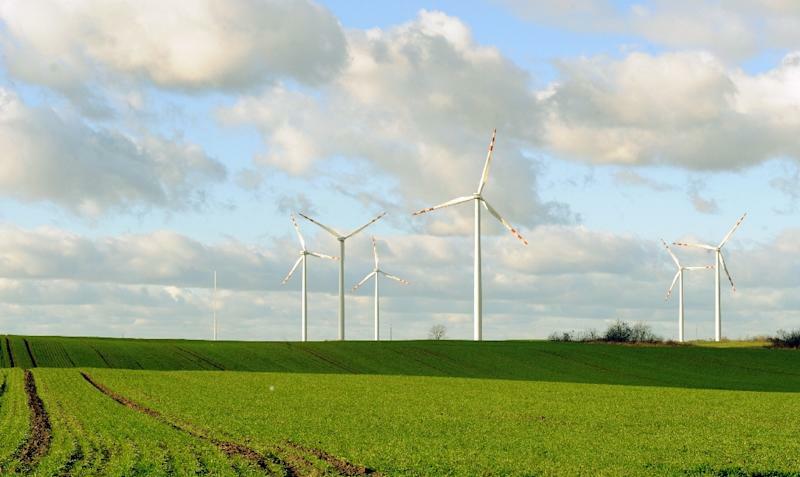 An auction for wind farm licenses to add that one gigawatt of production capacity is set for November 5 and public subsidies will also be available under a new government plan aimed at helping coal-addicted Poland meet EU goals for renewable energy use. The EU has set itself an overall target of 20 percent green energy in its mix by 2020. Poland, meanwhile, must boost its overall use of renewable energy to at least 15 percent by 2020 under EU deals on emissions curbs. Renewables accounted for 11.3 percent of Poland's energy mix in 2016, according to the latest available figures, and a study published last year by the Ecofys consultancy warned that it risks falling short of the 2020 target. The country of 38 million, with an ever-expanding economy, was likely to have no more than 13.8 percent of renewables in its energy mix by the end of the decade, Ecofys found. Warsaw is planning two more auctions for wind energy concessions, which should add another two gigawatts of capacity. The auctions are intended to replace a national scheme of "green certificates", which are tradable commodities proving that energy was generated using various types of renewable resources. While well-functioning hydro-electric facilities performed well, the certificates fell flat in the wind energy sector. "When investors saw that (wind energy) certificate prices were falling along with their profits too, they started to withdraw," Anna Ogniewska, an expert at the Greenpeace Polska Foundation, told AFP. Legislation introduced by Poland's right-wing Law and Justice (PiS) government in 2016, dealt a heavy blow to wind energy. The law made it virtually impossible to build new turbines on land by requiring that they be located a distance of ten times their height from any residential building. In other words, a wind turbine that is 200 meters (218 yards) high must be at least two kilometres (1.24 miles) away from the nearest house. Another blow came in 2017 when municipalities were allowed to impose taxes on the mechanical equipment of turbines. With the onshore wind sector shut down, only offshore projects backed by large state-sector energy groups moved forward. Recognising the impact of the restrictions, the PiS government eased them in July. Building permits for wind farms granted before the changes in 2016 were extended until 2020. The tax on turbine equipment was discontinued as of January this year. While the changes have breathed new life into the wind sector, continuing restrictions on locating turbines anywhere close to dwellings mean major challenges remain. Unlikely to meet its EU mandated renewable target by 2020, Poland will have to make up for the shortfall by buying carbon credits in the EU's Emissions Trading Scheme (ETS). The system requires polluters to purchase credits for emitting carbon, which often has the knock-on effect of driving up power prices. Some Polish environmentalists say they have noticed a shift in attitude among PiS politicians towards renewables, especially as Poland gears up to host the COP. "There are different trends within the PiS and there are people who support renewable energy," says Anna Ogniewska, "but the majority still favours coal, gas and geothermal energy that are more 'tangible'; they distrust 'elusive' sources like the wind or the sun". Greenpeace is among the most vocal critics of government support for the coal sector, which the global environmental watchdog estimates run into hundreds of millions of euros per year in subsidies. Biomass dominates Poland's renewable energy mix and accounted for just over two-thirds of the total in 2016, according to the last available official figures. Wind ranks a distant second, with 12 percent followed by biodiesel with 10 percent, followed by biogas at three percent and solar as well as geothermal at under one percent.